A good online strategy captitalises on the extra reach of the internet; accelerate growth, find new clients. Way back in 2007 Harvard Business School put out a paper entitled “Fixing the Marketing - CEO Disconnect”, which highlighted the gap between the marketing function and the C-suite. It emphasised that too much delegation of responsibility to the marketing department can result in marketing activities which are not supportive of the company’s greater strategic goals. In 2011 the fundamental nature of marketing has shifted so rapidly that many CEO’s, given the pressures of other priorities, have found it hard to keep pace. Digital has become core to the future of marketing. The days when digital simply meant a PR website are over. 2011 marketers require online to be more productive. They appreciate the extra reach that the internet offers and are making the deep strategic shift to make online work; digital needs to accelerate revenue growth; and digital needs to find new clients and generate real leads. This requires a mind shift from the way we’ve done things before. And the CEO is the one that should be driving this mind shift to ensure that online marketing activities are aligned with strategic objectives. Unfortunately, however, CEO’s have often felt out of their depth when it comes to the internet and have left online marketing up the marketing divisions completely. To make matters worse, the online marketing function in some corporates have now been taken over by the IT department, because “they’re the only ones that understand the technology”. This gives us communications that work technically, but the strategic marketing objectives have been lost somewhere down the line. How to fix the rift? Marketing is a strategic function and should drive IT. IT is there to support marketing. Not to create it. 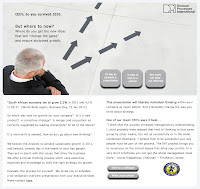 The 2011 CEO and his executives can no longer afford to stay out of the marketing department. They stay abreast of new online trends. They assess each one on its possible merits and strategic fit for the business. Here are four strategies that could help you capitalise on the new growth opportunities offered by online marketing in 2011. Some years ago a Nielsen (USA) report revealed that speed is the no 1 criterion for a website. Viewers want to “get on, find the info, and get off again”. And quickly. This created new disciplines for web designers. The best beloved bells-and-whistles flash sites had to go, and a fine balance was needed between aesthetics and speed. A mini-site serves the viewer who is interested in that very thin slice of the market known as a micro-niche. The rise of the mini-site. Will a mini-site work for you? Where do in-depth mini-sites work best? 1. If you’re a big corporate with a diverse product range, isolate some specific products and create mini-sites for each of them. Especially if the product or service solves a problem (a pain point) and will relate to a specific keyword search. 2. As editorial support towards an event. Or support for a specific product, e.g. in describing new technology, “Hybrid Transmission Systems” for a new car. Or “How to Grow Bulbs Successfully”, if you sell mail-order bulbs. 3. When a different design style is needed for a product that does not fit the corporate style, e.g. a cell-phone insurance product where your target group is 20-something. 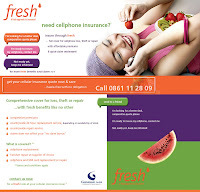 You would want the design to be vibey and young with bright colours to attract the new target group. 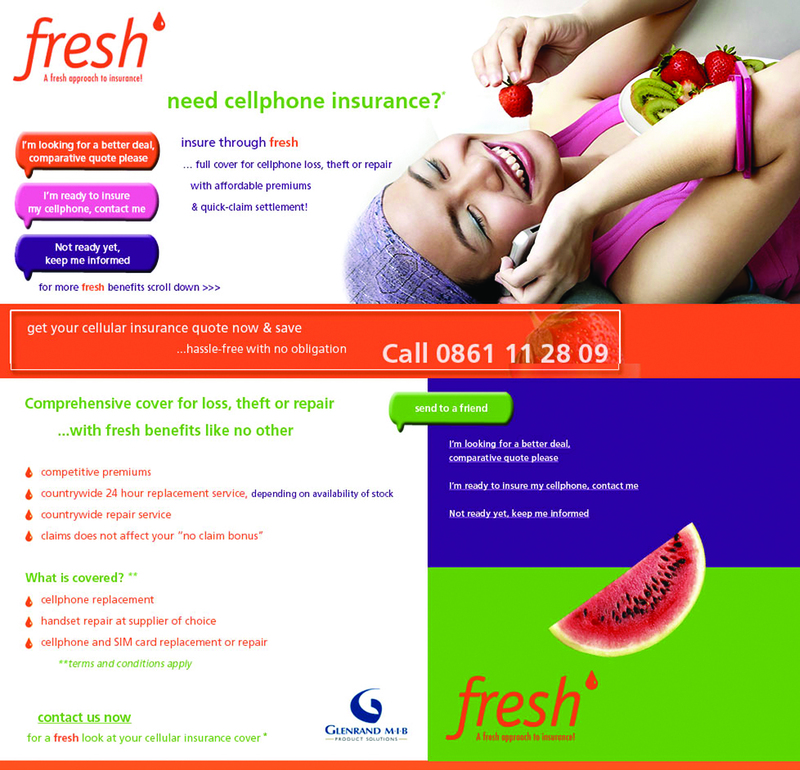 A cellphone insurance product to a youth market needs a different design formula from the parent site. A mini-site solves the problem. 4. For pay-per-click advertising or PPC. A mini-site is an excellent vehicle for carrying topic specific, keyword rich content with the goal of having high search engine rankings. And a mini-site focussing on specific keywords, gives you a better Google Quality Score. And a lower pay-per-click cost. 5. When launching a new product. We notice that car manufacturers are at last starting to use mini-sites. So instead of having to wade through every single model ever made on the parent site, only the information relating to one model is made available on the mini-site. See the new Chrysler mini-site for the “All-new 2011 Dodge Durango”. 6. For online direct response marketing; as a support to your email marketing. The growth of online direct response marketing has meant that mini-sites have become extremely popular as the first stop link to buying information. Mini-sites are of course not new. They’ve been around since the 1990’s, variously named as one-pagers, squeeze pages, landing pages. But the new mini-site has a specific eye-tracking formula that makes it work better than ever before as a marketing communication. This page is massively focussed on only the information and pictures that lead the viewer to a decision to contact you. The formula looks like this. ¨ A relevant picture to make it sticky. And, if it can be a picture of a person, so much the better. ¨ Address the problem. A strong, what’s-in-it-for-me header. ¨ Support information; guarantees, testimonials and social proof. ¨ A graphic strong call to action; click here which leads straight to your sales team for an immediate response. ¨ Optional: A 30 sec video if your product will benefit from a demonstration. And finally. A category defining domain name. Here’s what is really exciting. Each day, millions of viewers use search engines to find things they need online. To do this they key-in specific words. The site that can provide the best match to these words, wins the customer. To keep yourself high on the search engines you create a new domain name that relates strictly to the search words being used on google to find your type of product. * Say your company sells sheet music. And it is called Musicnotes.co.za. The domain name of your mini-site will be called sheetmusic.co.za, because google tells us that that is what people are searching for. Or sa-sheetmusic.co.za, if you find that sheetmusic has already been taken. Or if you’re being really specific, guitarsheetmusic.co.za. Google likes this. Depending on your market and search terms, you can benefit from a higher volume of traffic than you can expect from your parent site. 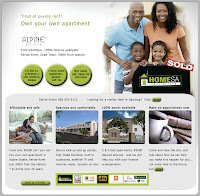 Note: the mini-site does not replace the parent corporate site which remains the authority site. And some corporates have more than one mini-site. If you’re of the opinion that a blog is a daily list of personal trivia for people who have nothing better to do, then you’re not alone. Not surprising really. A quick scan of the average blog leaves one with the distinct perception that the people who have the most time to write have the least to say. And the experts who have the most to say, do not have the time to write. Certainly, writing articulately is a difficult and time consuming task. And not on the daily agenda of the stressed and over extended executive of the 21st Century business. So why is blogging a strategy that you should consider? This is an age where you can build your professional reputation word by word. In its ability to educate and inform, a well written blog is a platform to promote business to a massive internet audience. It is simply great, cost effective PR. 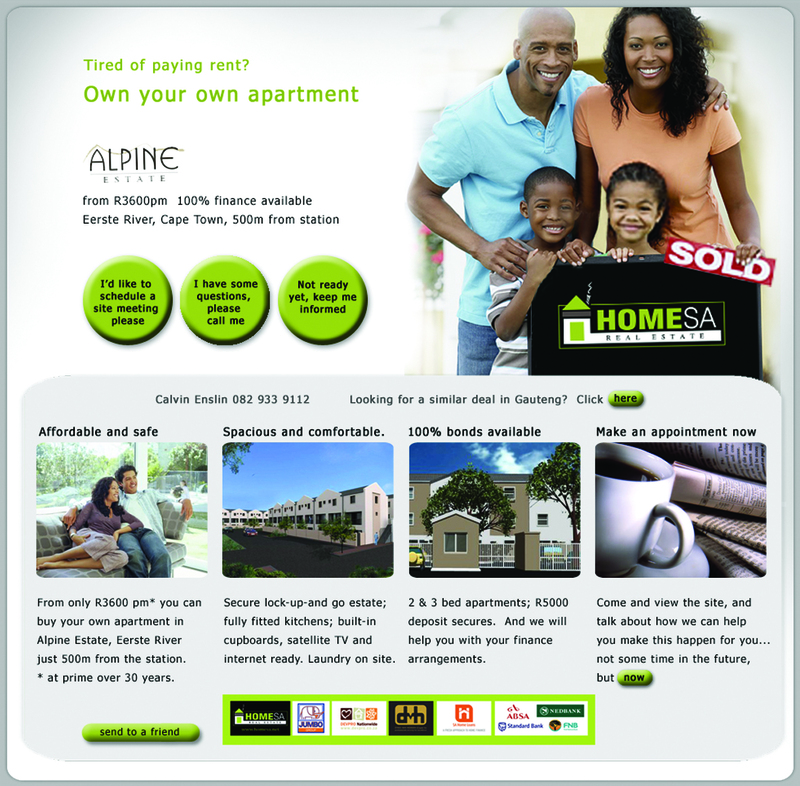 And extremely cost saving when compared to a TV or newspaper branding campaign. 1. Improve your search engine rankings. Search engines love blogs. Google loves text [your blog]. And google loves links [your web link]. So every time you post a blog, google ratchets up your website in its search engine rankings. This fact alone should encourage you to blog. 3. Build credibility as an industry expert. We all love to do business with an expert. Be one. Blog your company knowledge and expertise and position yourself as an authority in your niche. 4. Improve your customer service. 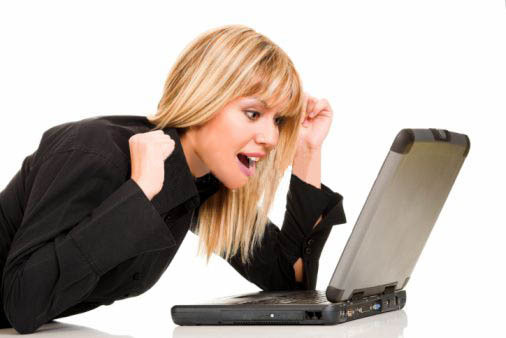 Blogging interaction from viewers, both good and bad, gives you a great opportunity to interact with your customers. And a great opportunity to say-sorry-nicely when things go wrong. A blog is at its finest when it is regularly filled with quality content. Now here’s the thing, I hear you say ... who, just who, in my busy business, has the time to be the writer of this fine quality? The answer is to unleash the real expertise in your organisation by giving each department the task of writing 1 x blog a month on a rotating scale and to a set time schedule. For coherent consistency the topics can be decided at the beginning of the year. And to create pride and ownership, and most importantly internal readership, let your employees vote at the end of the year for the best blog. Another blog methodology is to set up your customer service department with a blog [see googleblogs] and let them blog the resolutions to customer queries. Not only will these FAQ’s be valuable to blog viewers, but also to new customer service employees. Until recently, a video marketing message was limited to television (interruption advertising) or the company CD (which usually landed in the office drawer, unwatched). The internet and the rise of YouTube has made it commonplace (and desirable) for us to look-at-the-pictures. In Europe or the USA it is not unusual to see a 30 second video on a mini-site, a blog or corporate home page. The video appears onscreen as a small rectangle a few centimetres wide with a “start” arrow. The video can be a simple product demonstration, or testimonial interviews with various customers. South Africa is slowing starting to take advantage of this great medium as production software makes the cost more accessible to the average company. Explore an online video for your site. It allows you to tap into the buying emotions of your viewer and to create brand moments that are only possible with moving pictures. Note: Although online video is a great opportunity for communication marketing, it should be used in conjunction with text. For viewers in a hurry, text is still better in that it allows scan-reading and easy linking to quickly find the desired information. Get professional with email marketing. As a corporate you are probably already aware of the proven power of email marketing. In 2011 we suggest you finally put some serious budget into your email campaigns and make it the job of the marketing department to ensure strategic alignment. It is no longer acceptable to be sending out PR and branding “newsletters”. Readers are not interested in your news. They want to know what you can do for them, how you can fix their problems. A marketing email should exist for one reason only. To move you towards a sale. So how do managers, especially if not schooled in emarketing, know the difference between a good and a bad campaign? Here are some quick guidelines. 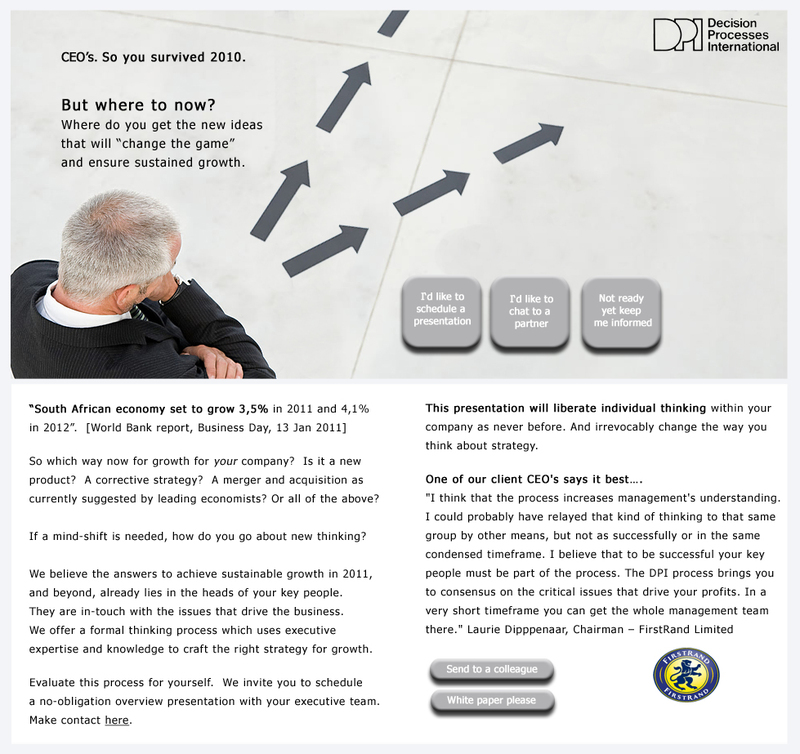 ¨ Is your campaign focused on your strategic objectives, leading to a targeted result, set by you? ¨ Are you using the science of eye-tracking studies to guarantee that your emails get the responses you require? ¨ Is your campaign response driven with ROI measures in place? ¨ Is the campaign fully measurable? And can you track every cent of your adspend to a sale? ¨ And most importantly, have you budgeted for an ongoing campaign, minimum one year? Professional email marketing uses eye-tracking studies to guarantee responses. copyright © 2011. Kaleidoscope Advertising adn Marketing. All rights reserved. Colleen is past chairman of the Institute of Marketing Management, the first woman in South Africa to hold that position. She has received the President’s Award from the Institute of Marketing for outstanding marketing contribution. As one of South Africa’s Direct Marketing experts Colleen was the Keynote speaker: Direct Mail Symposium, Birmingham, UK “The Customer doesn’t believe in Advertising anymore: Direct Marketing in South Africa. She was published in Direct Marketing International UK.